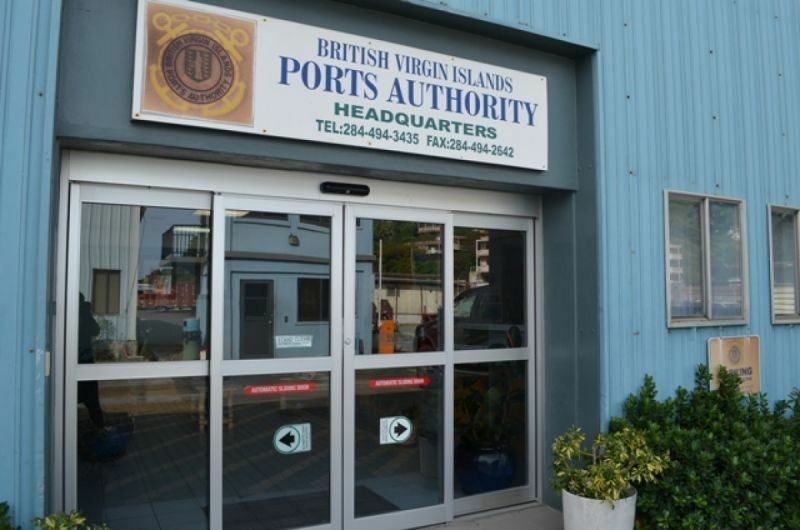 PORT PURCELL, Tortola, VI- Word just reaching our newsroom is that the Acting Managing Director of the BVI Ports Authority (BVIPA), Mr Alfred A. Henley aka ‘Al’, is no longer working at the BVIPA, effective today Monday February 5, 2018. 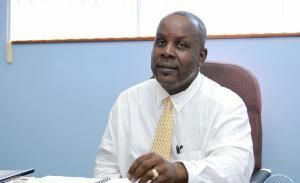 A senior National Democratic Party (NDP) source, who often speaks to our newsroom on these matters, told us that the Chairwoman of the BVIPA Board of Directors, along with other elements within the Board, asked Mr Henley to revert to his post of Deputy Managing Director (DMD). Following that request they then revoked his post of Acting MD, returning him to his substantive post of Deputy MD. It is our understanding that Mr Henley rejected that offer to return to the Deputy post and requested to leave the Authority immediately and be paid out. It is unclear why Mr Henley was being demoted, having acted in the post for over two years. Mr Henley first went to the BVIPA on March 4, 2014 as Deputy Managing Director and became acting Managing Director in late 2015 after the NDP and the former Governor of the Virgin Islands, Mr John S. Duncan OBE, refused to renew the contract of Mr Claude O Skelton-Cline, who had said, and according to court records, he was promised that once they [NDP] won the general elections in 2015, which they did, his renewal would have been done. Mr Skelton-Cline has since filed a lawsuit against the Cabinet of Premier and Minister of Finance Dr The Honourable D. Orlando Smith (AL), claiming legitimate expectations, among other things. The case is ongoing. In addition, former Managing Director of the BVIPA Vincent V. O’Neal also has the authority in court over alleged wrongful dismissal. There have been many names floating around to take the seat at the ports, including that of the Deputy Chairman of the BVIPA Board and a BVI Tourist Board consultant, Mr Trefor A. Grant. Our newsroom will be the first to bring more accurate details as they unfold. Let us have it then! Dr. Smith. Please do right by God. That’s all I’m asking. WHY!!!. Is this the investigation carried out by the Superintendent from Grenada. How the port we're so congested for months till ppl stuff got spoiled or was did it discovered where the port project money unaccounted for is? I hope we know what it is and who got it. Hahaha. OK but why is this breaking news? Slow day VINO? Really? The best man you say? He knew nothing about running the ports. He should have just accepted back the deputy post. Someone says he threaten to talk all.. well he would have had to talk on himself as well. Al is a pretty decent guy bordering sometimes on arrogance. He was definitely better than CSC in understanding the Ports, but still had his deficiencies. It is quite obvious that the parties in the ports operations - Ports Authority, Customs, shippers esp. Tropical - needed to do something differently. Looking beyond the individual, (and hopefully Al received his proper severance package in leaving), let's hope that this is a first step in the right direction. The ndp civil war continues stay tune get the pop corn out! Why they knocking bout we BVI family. Are they going bring in a UK National to head, like the next Deputy Governor. All actors need to move out of heading departments and statuary bodies. Time to speak truth to justice. It's just about sickening now. Look at the mess down immigration and there are experinced persons in there. This is a good point. How many posts are permanently filled with people in acting positions. It betrays complete incompetence when someone acting in a position is permanent without making it so. What happened here did al find the 45m over run on the ports project? Not a tribal war.... it has gone to internal cannibalism right about now. Everything fo he was NDP ......TEK DAT! Who ever them bring in need to do something about their salaries and bring them back to normal working hours... Families are suffering!!! Current is back rent n lights need to b paid!!! Nothing normal anymore. Wake up! He had need to go. You know how much ppl got terminated under his management? Trust me more need to go and get some fresh heads in there so the port can come back to what it was. Lack of leadership. Just signing because you can sign. Karma. This might the right time to privatize the ports, especially Port Purcell. Too much corruption is being covered up by this NDP gang. Until that is dealt with then nothing will run smoothly. Is the BVIPA a dysfunctional organization? How many Directors have been slaughtered on the altar of politics? MAP, RG, VVO, and CSC. Should the BVIPA bring in someone as a caretaker until it can restructure itself? Perhaps, they can bring on Gene Creque. He was always the go to guy between the musical chairs Dirctors. Physician heal thyself. Ports else where operate relatively effectively and efficiently so why cannot the BVIPA? Perhaps BVIPA needs a structural overhaul. No more Peter Principle promotion, ie, promoting people to a level of incompetence. Is the NDP a house of cards with all the dominoes falling? Can anyone list a department or function or programme that is working well and can serve as the standard bearer? you don't touch God's anointed. Come Closer! If politics was walking over him he could not do a damn thing but get out the way before he get trampled on. The Port staff are crying out for help..Hours are cut ..They can't pay they bills..And his words was .."Who want to find employment somewhere else can so"..
i seriously need to ask this question... who is Tolians in favour for? you all fighting against your own people, the down islanders, the christians, homosexuals... lord unoo nuh see that yall confuse and need JESUS help.. in a time like this we need to show love and work together to build back this beautiful paradise... if yall dont change worst will happen Repent and turn read psalms 51.. we need cleansing ... yall slaughter your very own BVI Islanders .. people yall need to stop this nonsense. what goes around comes back around.. remember yall have children you want to see prosper. Port is like a neglected step child. You guys think the admin building has mold. Check out the offices at the port, 5 long months after the hurricanes, but who cares?? ?